Why am I embarking this reading project? I was two weeks shy of age eighteen before I read my first novel, fuelled by my own motivation. I’ll start this post, cathartically, with that embarrassing, stale, shrivelled yet undeniable fact. It was Fitzgerald’s The Great Gatsby. You know the one. I recall mooching around at home on a Friday night, so bored I was practically levitating with indifference, when it occurred to me to have a crack at a novel. Yes, I’d meandered through high-school curricula that force-fed students The Scarlet Letter, To Kill a Mockingbird, One Hundred Years of Solitude, The Good Earth and Tess of the D’Urbervilles, among others. I can’t say I ever completed any of those. Like a wannabe marathon runner straining to avoid yet another ignominious ‘DNF’ result, I did eke out one completion, wheezing with non-focus across the finish line of Ayn Rand’s Anthem – all 105 whopping pages of it – in grade eleven to fulfil some reading list quota or other. This book I chose specifically for its slenderness and nothing more (embarrassing fact number two). I arrived at the reading for pleasure office a bit … tardy. But The Great Gatsby floored me. Jump-started me. Had me enchanted, dead, gone and up to the heavens from first word to last. Gatsby remains the only novel I have read, cover to cover, sea to shining sea, in one blissful abracadabra stretch. Which brings us to here. Now. Twice the age I was then. I’ve read considerably more in that time… the oeuvres of Brautigan and Carver , say; some Breton , Nabokov and cairns of Critical Inquiry back-issues that helped me navigate the clutter in my office at University of Chicago Press. Dalliances came and went and with The New Yorker and Granta. I even read atlases, conniving my weakness for geography to crowd out classics. More than any form, though, I’ve read poetry. And still not as many novels as I’d like. So it struck me, just after midnight, early Boxing Day morning, that I would embark on a reading project for 2011. The plan is to read one ‘important work’ by a ‘major author’ I’ve not yet read from every nation I have travelled to. Strictly novel-length fiction, modern or contemporary era. No short stories. No poetry. No essays. That makes 28 books, 28 authors, 28 countries… and one year to get it done. Okay. But what kind of books are we talking about here? The works need not be about the nation(s) whatsoever. José Saramago’s Blindness does not contain a single wisp referencing Portugal, which would be anathema to the author’s arresting spin on human fallibility. The national aspect of this project is, primarily, a device to plant in front of my face books I would otherwise never know about nor read. And to also kick my arse in gear to read a few authors I’ve meant to check out but haven’t. Like Roberto Bolaño. His popularity is rocketing across the firmament nowadays. 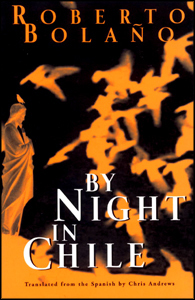 As anticipated, his By Night In Chile is a riveting barrage of despair and capricious rumination on ruination… well, it was once I shifted into the proper headspace to blaze through the ranting prose. Back to geography for a moment, as Bolaño’s book presents the other angle on why this project involves the countries I’ve travelled to. When By Night in Chile’s central padre character slumps into a cafe chair and drains a Bilz soda for lack of anything better to do with his crestfallen mood, I admit that I relish knowing that Bilz (to my taste) is a sickeningly vile soda ubiquitous to every corner shop in Chile. And that I’ve browsed shops with Bilz, walls and walls of the stuff, in person. So what? I’ve been to Chile and hoo-bloody-ray for me? No. The point is, I did feel a spiked rush of engagement with Bolaño’s passage featuring his lone line referencing this Bilz elixir; a surge triggered by that tiny detail. The extant memory-signpost in me of having once swigged a Bilz in Calama entwined with that passage like mile-a-minute vine. And it shunted ideas, both to the fore of my thoughts and under the author’s magnifying glass of detail, raising questions as to why he may’ve included it at all. I appreciate that it could be nothing more than meaningless texture. But I hope not. Does this render me a shallow or underdeveloped reader? Maybe so. Of course, many of the books I’ve selected are fully steeped in, engaged with, and refract an author’s native country inside their prose. Economics, colonisation history and complexities I cannot begin to note here abound… at least so far as I have researched the authors and their bibliographies, and have found them to be canonical in a nation’s literary history. Pin Yathay’s Stay Alive, My Son and Jorge Icaza’s The Villagers from Cambodia and Ecuador, respectively, will be outstanding examples of such books. We know both countries have endured beatings, purges and takeovers that are difficult to fathom. 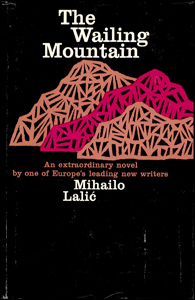 Yet, truculent forces – political, military, economic or all of the above – that plow across nations like glaciers with orders to scrape clean every ‘undesirable’ speck are forces that never entirely erase affected cultures, their voices, community minutiae, wit and artistic durability that often foment into notable, lasting literature. But, such forces certainly camber the national output into staggering directions à la Egger’s What is the What or Elie Wiesel’s classic, Night . It’s actually not titled The Villagers. It’s true name is Huasipungo. And the English edition title isn’t a direct translation. 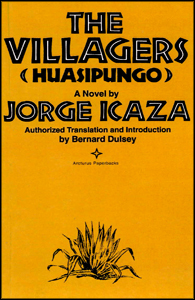 Huasipungo was an indentured servant ‘employment’ tactic used by hacienda kingpins to force peasants into sweating all the hard work needed to run their spreads. As payment, peasants got a miniscule plot of crap soil to till as their own, on their own free time, so as to produce 100% of their food. Nice. Why supplant the original title with a more generic one for its translation? The snippets proved such a hit, in English, with Russians, that Russia asked Ecuador if Icaza could be their ambassador. Now that’s a fan base! It was considered such a proletarian gem that it took another 35 years before an approved English translation seeped out into the world. It’s said that Icaza still runs a bookstore in Quito. That would make him a 105-year-old shopkeeper. Possible, but highly unlikely. Either way, I wish I would have known that such a bookstore existed when prowling the city streets. Last April, when in Ecuador, I observed, heard evidence of, and inadvertently stumbled through daily proof of feudal juggernauts, jockeying clergymen, political factions, ruthless oil companies and strife amongst all non-fellow tourists I encountered. Am I skating dangerously close to exploitative, voyeuristic reading? You decide. I’m reading it anyway. But, why not simply resolve to read more? Because parameters foster odd results and the hunt itself has bewitched me. And I josh you not, not twenty minutes after this plan parachuted into my head, a 7.6 earthquake relocated Vanuatu. Four-hundred kilometres away in Noumea, New Caledonia, fifteen floors up in the apartment my wife and I were staying in – my beer, sitting on a coffee table, shook and foamed over. The concrete structure swayed but gamely kept its composure. Best heed the seismic reinforcement that this project would be momentous for me. Find out what hurdles Kent has faced in finding the books, in part two. I’ve often found reading novels by local authors has enhanced my visit to a new place. Although these are all going to be read post-visit, I think it’s a great idea. Reading A House For Mr. Biswas by V.S. Naipaul in Trinidad and The Master Pearler’s Daughter by Rosemary Hemphill in Broome (actually that was a memoir) stand out as adding a bit of magic to those trips. MK: Naipaul is another author I have desired to read for some time … but, of course, I have not meandered around to him yet. I shall soon after this project. Currently am enchanted by Merce Rodoreda’s The Time of the Doves, a gripping stream of ‘common’-woman consciousness – or so the translator states was the author’s class intention. Rodoreda’s description of doves swooping around Barcelona’s buildings takes me immediately back to watching buckshots of ‘bird’ shoot about the city’s angles … in a pack, then breaking away like a disintigrating bobsled. I definitely need to get to Broome, too.